Lutheran Church Charities K-9 Comfort Dog Ministry has confirmed that Concordia University Wisconsin will soon receive a second, certified dog to support the university’s growing comfort dog ministry. Concordia’s first certified comfort dog, Zoey, helps announce the arrival of the next. The new dog, a purebred Golden Retriever whose name will not be released until the animal is received, will first arrive on campus on Aug. 20. It will predominantly serve as a resource for the School of Health Professions and will help launch an animal assisted therapy certificate program in the fall 2018 semester. On Aug. 15, a group of Concordia representatives who will be working closely with the comfort dog will travel to Northbrook, Illinois, to celebrate the dog’s graduation from training and to bring the dog to Wisconsin. 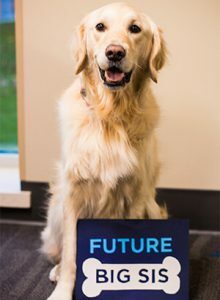 The new dog will join Zoey, Concordia’s first LCC K-9 Comfort Dog who, in 2014, was the first certified comfort dog in the nation to be employed full-time at a university. Eleven Concordia students are already signed up to serve as the dog’s handlers—that is, the rotation of “staff” who will be on hand with the dog during its working hours. The 11 students—three physical therapy and seven occupational therapy students—make up Concordia’s inaugural animal assisted therapy cohort. The animal assisted therapy program requires the completion of seven courses and 225 hours with a certified comfort dog. Students in the program will work closely with the new comfort dog, as well as with outside dogs who are certified for animal assisted therapy. In her new role as School of Health Professions clinic coordinator, Dr. Lois Harrison will oversee the program. Comfort dogs differ from service dogs in that they are trained to address the needs of many people as opposed to a single individual. 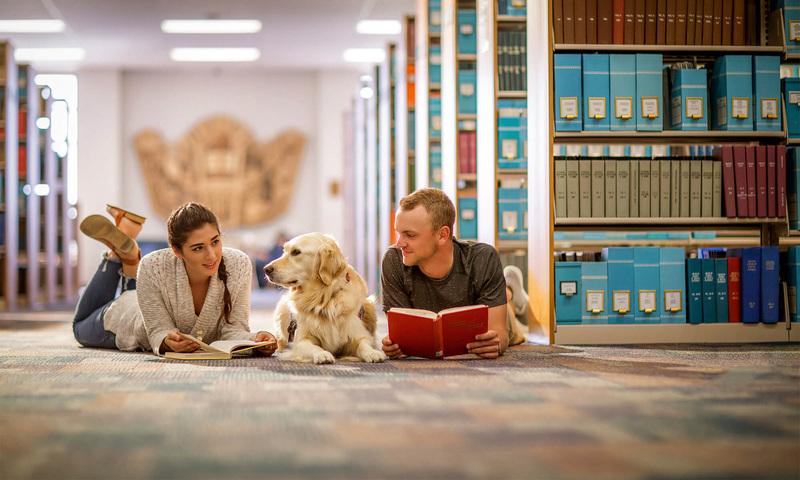 In addition to its role with the School of Health Professions, the new dog and Zoey will devote their working hours to serving in community and educational settings; deploying to national tragedies; and being at large in the university to serve as a calming presence to students, faculty, and staff in passing. Like Zoey, the new comfort dog is owned by the university and will work full time, logging between 35-40 hours in an average week. Last fall, the university underwent a fundraising campaign to purchase the dog and support its training fees and related care expenses. Within a month after the campaign launched donors helped the university meet its fundraising goal, and Concordia was added to the LCC K-9 Comfort Dog recipient list to await word of the dog’s arrival. In total, 130 donors, including current students, employees, alumni, parents and other supporters, contributed $29,610, nearly $10,000 more than the fundraising goal. Three anonymous donors pledged matching gifts, one at $2,500 and the other two at $7,500. Learn more about Concordia’s Health Professions offerings at cuw.edu/health-professions.